Free Mini Maternity Photo Session when you book a newborn photo session. Exclusively provided by Boy Girl Photography. 3D ultrasounds are a lot of work for everyone! We will happily rebook your appointment if your baby did not cooperate on your first try! After all, we are designed for your satisfaction! The Schedule That Considers You! We allow time for you to walk around, drink juice, or improvise in order to make the baby cooperate, because your satisfaction with your 3D/4D ultrasound is important to us! Quality Is All Around When You Visit Us! Latest 3D and 4D ultrasound technology available coupled with a true client-centric approach create an experience that any parent-to-be will cherish forever. 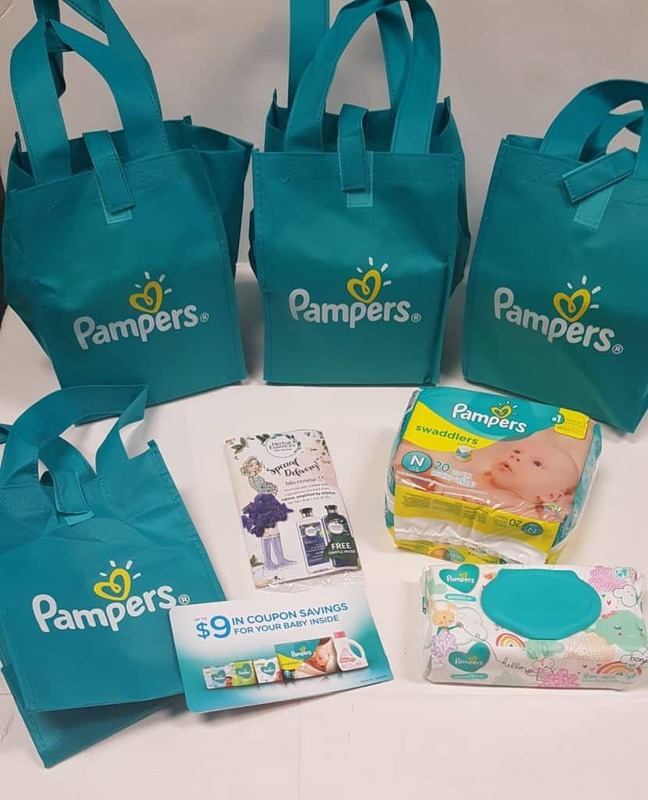 We have teamed up with Pampers to offer even more value to our clients. Now and for a limited time, receive a free baby starter kit when you visit us. This offer is here for a short time and is available no matter what package you book! We are dedicated to you, and we know how valuable your time is. That's why we are open when it is convenient for you. For The Love Of Babies! Our passion for perfection has pushed us to marry the two ideologies that often get little attention: deliver the best possible images of your baby; and to do it in a cozy and comfortable environment. That’s why we went all out and made sure our technology complemented the atmosphere, and that they created the most adorable experience any parent can have! Excellent service, all staff members were nice and polite with us. Patricia our technician was amazingly friendly and knowledgeable. She explained everything and got us a lot baby ultrasound pictures. We went for gender reveal package and we are eager to get our 3D package. The place was warm, clean, and relaxing for all of us including my Toddler. Great experience! 100% recommended. I found this place while googling different centres to do a 3D ultrasound and saw that this place had really good reviews so I booked an appointment. I’m glad I did! Staff was genuine, friendly, kind and the doctor took his time to get the best pictures for us. Overall, my experience was amazing and I will definitely come back here if I have another. Really nice and clean space! The staff is so friendly, Patricia attended us and realized we also spoke Spanish and it was wonderful to live that moment with our baby and having the opportunity to have everything explained on our own language! We will definitely visit more often. My wife and I visited A Date with Baby last May 19, 2018. We are both ecstatic, thrilled and astonished on how the staff and the owner treated us. We are extremely satisfied with the service they have provided especially the clear 4D videos and 3D photos of our our princess and will never regret that we chose them to be part of this happiest and momentous journey in our lives! Thank you so much for the wonderful and memorable experience you have given. Great job for our date with baby today. Got great shots 40 and full video of ultra sound on DVD like 45 minutes. Thanks for the excellent service. My husband and I visited A Date with Baby. The environment was intimate and very comfortable for both myself and my husband. They were really clear with how the process worked and extremely descriptive on what we were looking at on screen, it made the experience much more enjoyable as a lot of movements we did not notice until it was pointed out to us. I would highly recommend paying for both the photos and videos, now that our daughter has arrived it's been extremely special to us to see some familiar movements from when she was in my belly.